In the previous AUD/USD forecast we noted that it was testing the support region of 0.9180. Should this support failed, the currency pair might test the immediate support of 0.9080 next. The currency pair was in a bearish channel. Reserve Bank of Australia officials were reported to have indicated the possibility of intervention and this brought about much bearish pressure. Looking at the AUD/USD daily chart above we note that the currency pair was bearish for the week, continuing the momentum from the previous week. It was testing the immediate support of 0.9080 as expected and I love it when my forex charts work! I have projected a new immediate support at 0.9060. Should this support fail, we may be looking at an extended bearish target of 0.8900. This was a previous low and also the end point of a loose head and shoulders pattern that seems to be unfolding for the currency pair. Any bullish recovery may see a test of the resistance region of 0.9200. The EURUSD didn’t make significant movement yesterday. Despite hesitation to move consistently above 1.3600, the bias remains bullish in nearest term testing 1.3750. Immediate support is seen around 1.3550. A clear break below that area could lead price to neutral zone in nearest term testing 1.3500 – 1.3480, which need to be clearly broken to the downside to give the bearish reversal scenario another chance. The GBPUSD continued its bullish momentum yesterday and hit 1.6373 earlier today. The bias remains bullish in nearest term testing 1.6380 before testing 1.6500. Immediate support is seen around 1.6330. A clear break below that area could lead price to neutral zone in nearest term testing 1.6250 but overall I prefer a bullish scenario at this phase. The USDJPY was indecisive yesterday but overall still able to maintain its bullish bias and hit 102.60 earlier today. The bias remains bullish in nearest term testing 103.00 – 103.75. Immediate support is seen around 102.15. A clear break below that area could lead price to neutral zone in nearest term testing 101.60 but any downside pullback now is normal and overall I remain bullish. The USDCHF didn’t make significant movement yesterday but overall still able to maintain its bearish bias. The bias remains bearish in nearest term testing 0.9000 as nearest target. The falling wedge bullish warning also remains valid especially if price broke above the wedge and 0.9095 resistance area but overall I still prefer a bearish scenario at this phase. Taking advantage of low liquidity we have Cable managing to sustain its rally from Wednesday getting a follow through to its bullish breakout,the push past 1.6260 with charts now looking set to move on the two year highs at 1.3679. Indicators show stochastic crawling in overbought levels while macd is heading up with EMA’s also pushing higher with a modest gap with prices above it. In the lower time-frames we have 4H stochastic oscillating around the 80 threshold while macd is flat above the signal line. Hourly charts for their part has a confluence of bears with stochastic heading for oversold levels and macd’s also dropping. Note we have formed a double top in the hourly picture. Given the latter immediate risk is for a pullback though we would like to see base building around the 1.6304 level or at the breakout point at 1.6260 and consider buys off the said prices for a run to the two year highs at 1.6279. 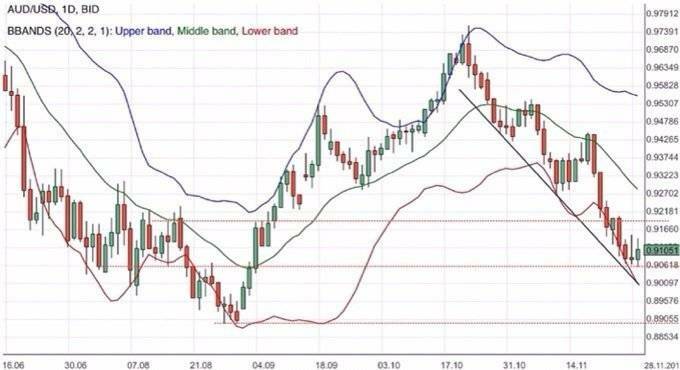 After an early bounce in Thursdays trade we have Aussy easing off as the US stayed closed in North American markets for a long wick in the daily charts. We are currently seeing new lows on a poor start for the last trading day of the month with earlier numbers a convenient excuse for resuming the bear market as with Private Sector Credit falling short of expectations to read 0.3%. Among indicators we have stochastic crawling in oversold areas while macd is down with market thus far ignorning the widening gap between prices and EMA lines. From the $H picture we have a confluence of bears in the making as stochastic is poised to push oversold while macd is also at risk of a bear cross. Hourly charts for their part has stochastic poised to push oversold while macd is dropping. We already have half the average daily range for Aussy. Consider shorts at market with prices under 0.9065 our objective the moderate support at 0.9014. Note this is all part of a big picture head and shoulder breakout. Given the ‘Thanksgiving Holidays’ in the US we have USDJPY seeing a tight range play though at the close we still managed to push for new highs as we look set to make a run for the 5-year highs at 103.69. Daily indicators has stochastic pushing further into overbought areas with a new bullish crossover this as macd’s are also rising. note we have a huge gap between prices and daily EMA lines though there is little callfor mean reversion in the price action. From the lower timeframes we have a confluence of buys as stochastic is crawling in overbought areas while macd is flat above the signal line. hourly charts for their part are mixed with stochastic heading up and macd’s pointing down. We remain bullish overall though entry is preferably a buy on dips to 101.92 or on a close above the 102.51 area in European open trade. The EURUSD was indecisive yesterday, but overall still able to maintain its bullish intraday bias. The bias remains bullish in nearest term especialy if price able to make a clear break and consistent movement above 1.3600 testing 1.3750 before retesting 1.3850. Immediate support is seen around 1.3550. A clear break below that area could lead price to neutral zone in nearest term testing 1.3500 – 1.3480, which need to be clearly broken to the downside to give the bearish reversal scenario another chance. The GBPUSD continued its bullish momentum yesterday, slipped above 1.6300. Price is in a critical technical point, struggling around a key resistance. The bias remains bullish in nearest term testing 1.6380 before testing 1.6500. Immediate support is seen around 1.6255. A clear break below that area could lead price to neutral zone in nearest term testing 1.6200 – 1.6150.